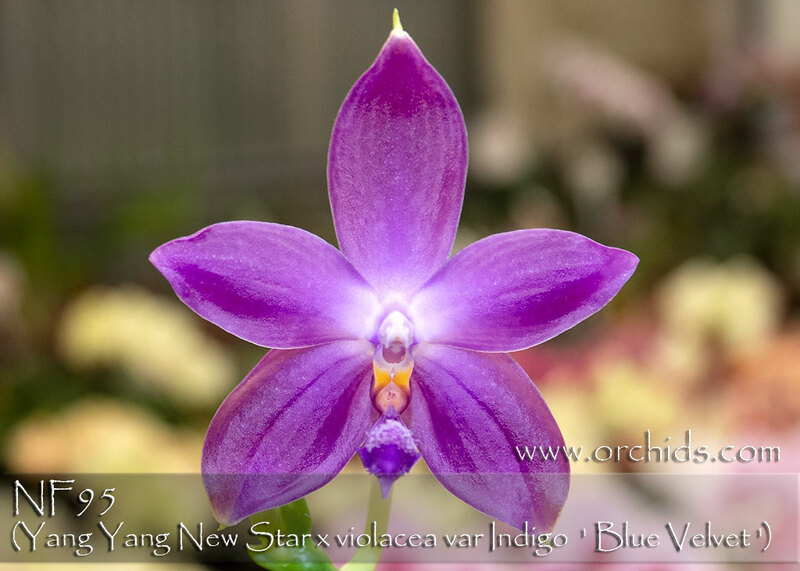 Exciting true blues have come from this new hybrid from the breeding program of YangYang ! 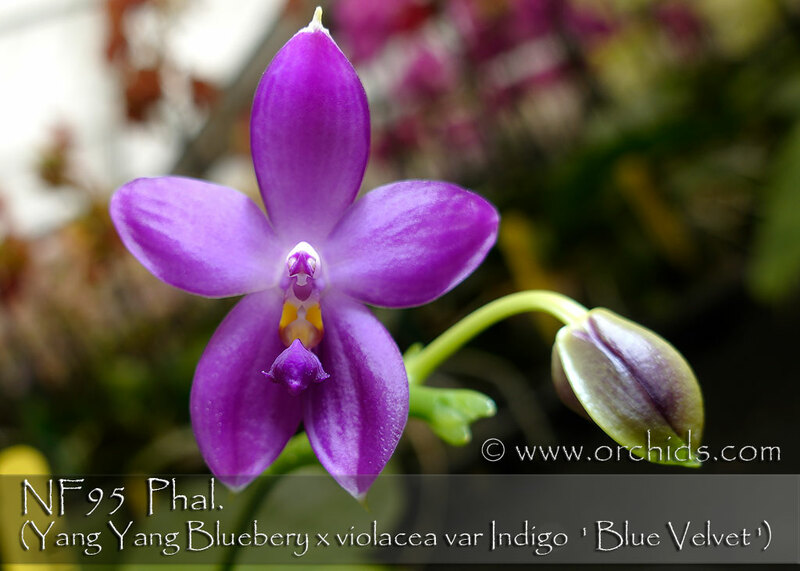 All have flowered 100% true indigo blue and are very fragrant. A fast grower, its spikes are held nicely above the foliage due to the growth habit of its Phal. tetraspis breeding background. 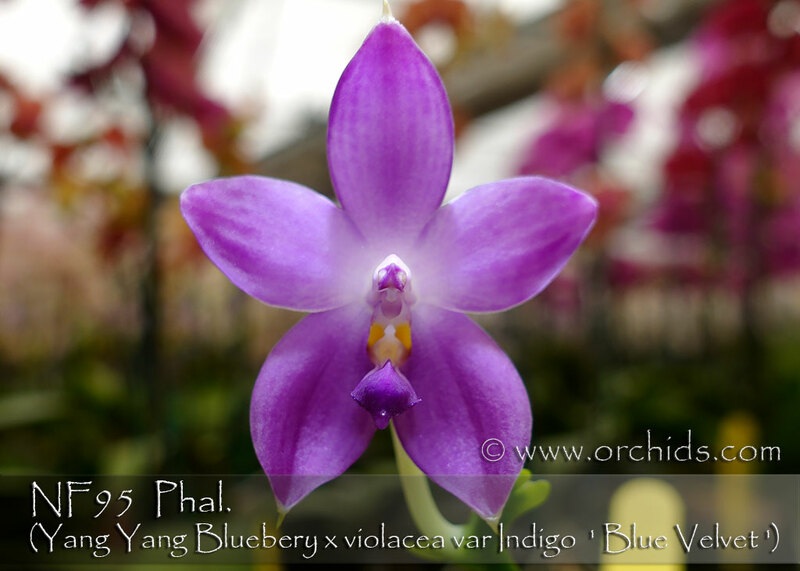 Phal. 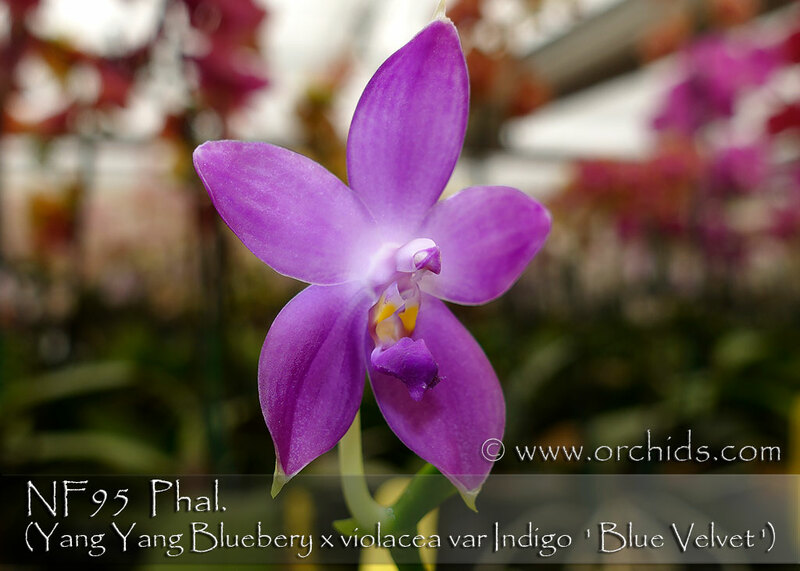 YangYang Blueberry is made up of Phal. tetraspis, Phal. speciosa and a double-dip of Phal. violacea fma. indigo. 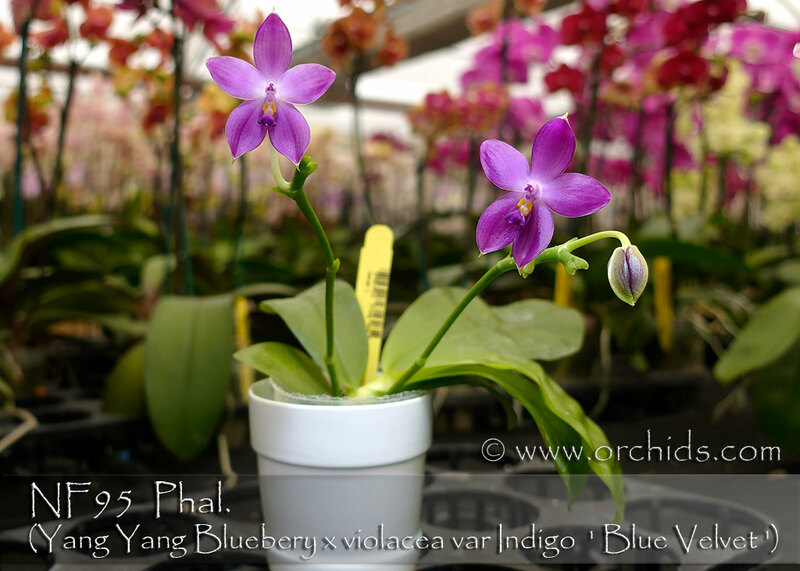 Bringing that same indigo parent back into this hybrid, this hybrid is capable of producing multiple spikes of fragrant waxy-flowered blues. Very Highly Recommended ! , note ; New release , Award Quality , Limited .